CMG is a BTC faucet that works like a game. 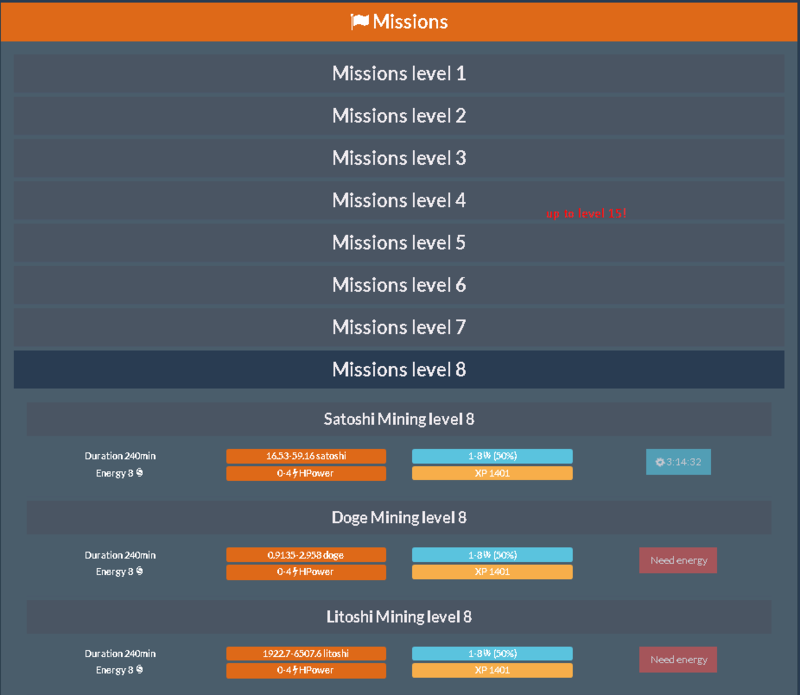 You can use crystals (gatherable on missions) to mine (without using your CPU power) BTC, DOGE or LTC using HPower which u can increase by completing missions. You can complete missions for rewards in the crypto you want, or all of them, whatever! lol You can do missions to receive BTC, DOGE or LTC rewards + possibly some crystals + a little HPower + experience. Your HPower increases with levelling. Also, on levelling you unlock better and more rewarding missions. From level 5 on, you can (alternatively) "MINE FOR REAL! ", using your own CPU to mine the cryptocurrency you would like. You can Exchange the coins between them inside the site. Admin is active and explains everything. Check the News tab . I'll post a few screenshots of my stats and game itself to give you further insight. Thanks for reading, my friends! Get it on!!!!! There's also LTC withdraw min 400k. Couldn't put all images but summed up it's that. Get it on, get it on!!! I joined under you , seems to be a nice game. Please tell us when you'll get paid. Of course. As soon as I reach 200 doge I'll withdraw and post a proof if paid correctly. Atm I have 25 doge after converting all coins into doge. @admin, is that enough details to give refback? UP! I'm half way to 200 DOGE to withdraw. (01-14-2018, 03:39 AM)elfz0r Wrote: UP! I'm half way to 200 DOGE to withdraw. I'm having lot of fun there and made my first withdraw request today . Thank you for introducing us to this site. keep it up! i'm very glad you enjoying the site bro. 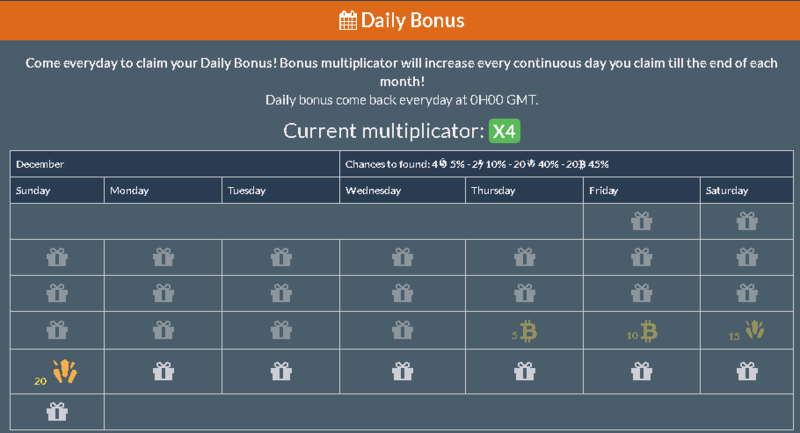 Stay active for a whole month and u get 30x multiplier on the daily bonus... this is awesome af. workin' my way to 1k HPower to become premium!